Rock drilling is one of the main activities done in construction, especially if it involves large buildings. This is mostly a commercial activity which is usually done for varied reasons. From regular building constructions to the extraction of natural resources such as gas or other minerals, rock drilling is one of the specialisation areas. There are different companies offering professional rock drilling services in Victoria, Australia. Rock drilling companies have a dimension of work and can only perform tasks detailed in their definition of services. Some companies will drill water and oil wells while others perform directional drilling, vertical drilling or offer natural gas hydrofrack services. Other companies simply drill to blast/clear the way for other construction projects. Each company is limited by the definition of rock drilling services they provide as well as equipment and technology. When looking for such services, it is important to seek expert guidance and advice. Whatever your drilling needs are, the process involves various risks and requirements that cannot be overcome without expert assistance. As opposed to hiring equipment and doing it on your own, here are five good reasons to use a professional rock drilling service provider. This is perhaps the most basic reason why professional services are your best choice when it comes to rock drilling. The procedure involves drilling through layers of solid rocks and soil. This requires high-power drilling machines and clearance equipment that are often very expensive to hire. Professional companies offering these services already have all the needed equipment to safely handle your drilling requirements. When the cost of hiring equipment and drilling without professional assistance is compared against contracting expert companies, the latter proves more profitable. These companies will not only ensure all equipment is available for drilling, but will also make sure you’re satisfied with the results. They know what to do in case their equipment malfunctions. Professional companies can seek backup from other associates to ensure the initial drilling agreement is accomplished despite some shortcomings. This is another vital reason why you need a professional rock drilling contractor. These companies have trained staff that provide knowledge and experience in various field situations. The personnel consist of vigilant professionals enriched with the latest technologies and skills in rock drilling. This is barely a one man’s work and therefore needs to be handled by a team of knowledgeable professionals who can quickly coordinate to ensure the process is carried out seamlessly. Thus working with a professional rock drilling company will most definitely guarantee top-notch results for you. Professional companies have profound experience in their work. This means they have learnt to modify and perfect the procedures to become safer and quicker. The end result can be guaranteed even before actual procedures commence. These companies are also bound by legal and statutory authorities such as OHSA. They therefore abide by the rules regarding standard procedures, assessments, agreements and safety requirements. They will conduct a comprehensive assessment of the area to be drilled and perform all checks as required by the law to prevent any form of injury. Those working on the site are provided with protective gear to ensure the whole process is safely accomplished. Whether you are drilling the rocks to construct a personal home or residential apartment, this activity is in some way a commercial venture. During drilling, accidents can happen. Fortunately, professional companies know how to deal with these contingencies. They are also insured, which relieves you from business risks such as accident compensations and other complications arising from the drilling process. The agreed cost in the contract covers all requirements and no additional expenses will be needed once the deal has been sealed. 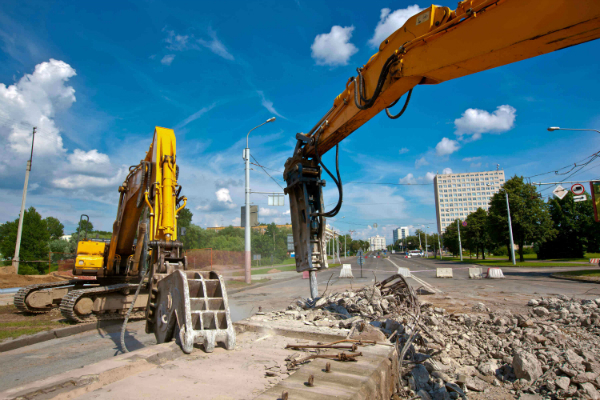 Experienced rock drilling companies often account for every expense in their contract to ensure everything is settled before commencing the work. When you contract professional services, it provides the guarantee that all agreed assignments will be carried out as required. This includes a guarantee that the specified service will be offered to the agreed extent and quality. Once the deal has been closed and drilling commences, you can be sure that the work will be completed in scheduled time. Using the services of non-professional entities cannot offer the same guarantee because they have no such accountability. Professional companies can re-do the work to your satisfaction. They also thrive on establishing lasting relationships with their clients. They are therefore most likely to offer their best services to maintain that relationship which is characteristic of any professional agreement. Unfortunately, the same cannot be said for non-professional services. Drilling companies are common in countries like Australia, which is largely composed of islands and rocks. When looking to hire a rock drilling company in Victoria, Australia, consider factors such as company reputation, previous clients’ comments and opinions, price comparisons and referrals. These will help you arrive at the best rock drilling company that meets your specific requirements. Rock drilling is one of the regular activities included in building construction, well construction and mining. The activity involves excavating layers of soil and solid rocks which may destabilise surrounding layers. This requires appropriate working and protection equipment as well as trained experienced personnel. It is important to seek professionals that meet your rock drilling requirements rather than embarking on this risky process without sufficient expertise. This way, you will be able to prevent risks and accidents as well as reduce time wastage.